The Luncheon will feature a breakfast and lunch items, including coffee, tea, soft drinks and a cash bar. There will be raffles of our beautiful gift baskets, auctions, prizes and some surprises! Tickets are $37 per person. Advanced reservations are required. No tickets will be sold at the door. 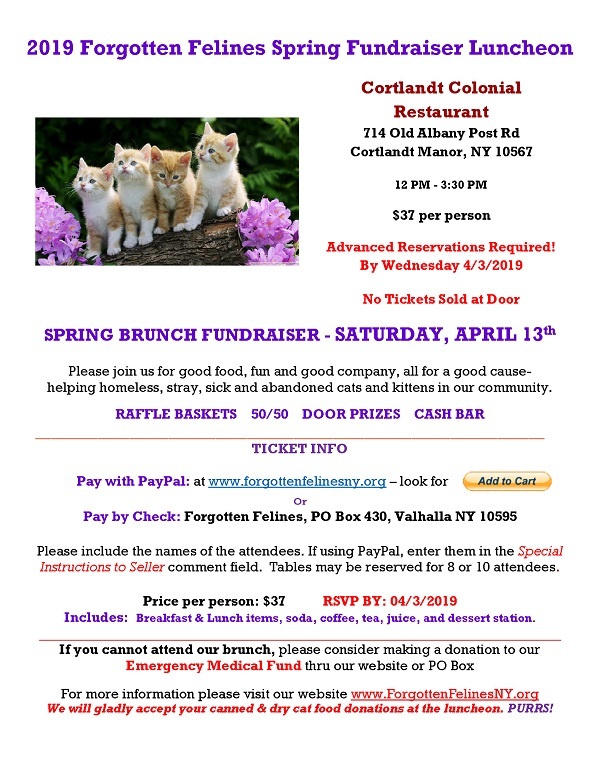 You can purchase tickets via the PayPal button below or call 914-428-7969 for reservations. NOTE: If purchasing more than one ticket, please send us a quick email by clicking HERE with your name and the names of any additional attendees. Thank you!